Up to RM30K worth of fabulous home appliances as well as vouchers for paint and tiles. Plus the Curve Touch 'n Go Card! Spend a minimum of RM150 (Citibank cardmembers only need to spend RM100) in a maximum of 2 receipts on the same day. * Limited to 30 on weekdays and 50 on weekends. 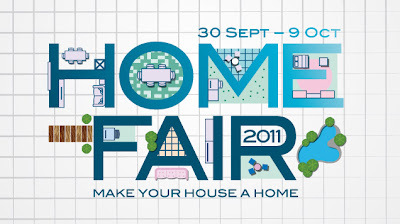 Visit Home Fair Facebook fan page for more detail. Connect at the speed of now on BBM, and enjoy discounted BlackBerry smartphones starting from RM799.